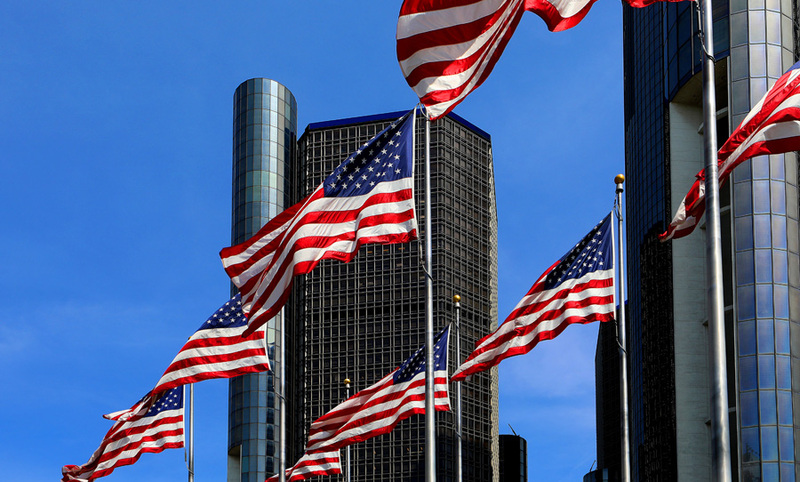 I have stated this before, and I will state it again…Detroit is definitely on the “come up”. 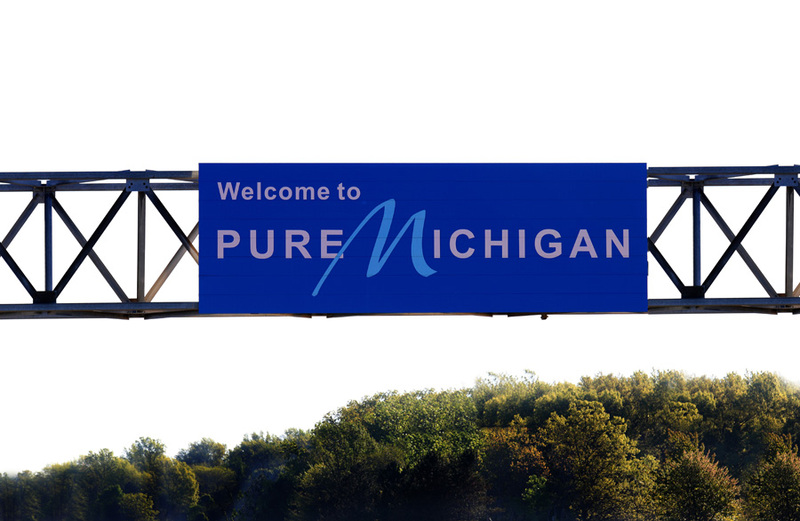 And if you know me, you know that I love Detroit! It is one of my top three cities to visit. 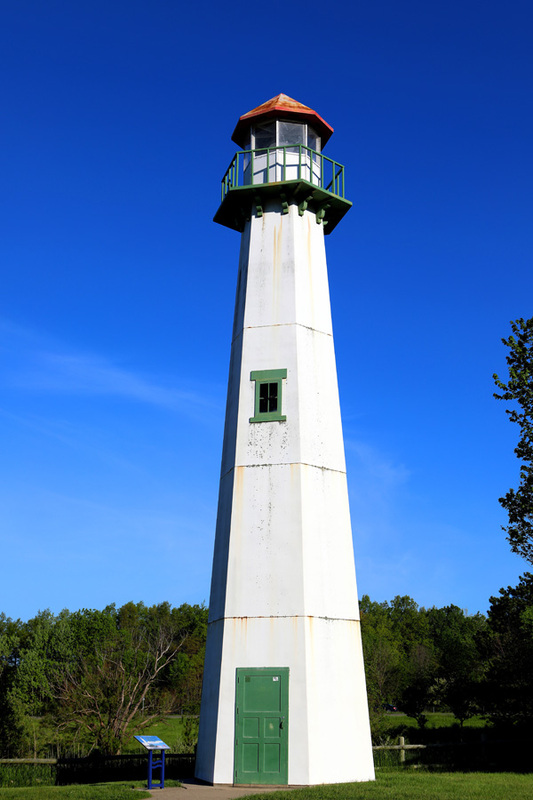 But before arriving in Detroit, I stopped at the New Buffalo Welcome Center to photograph one of the many lighthouses in Michigan. 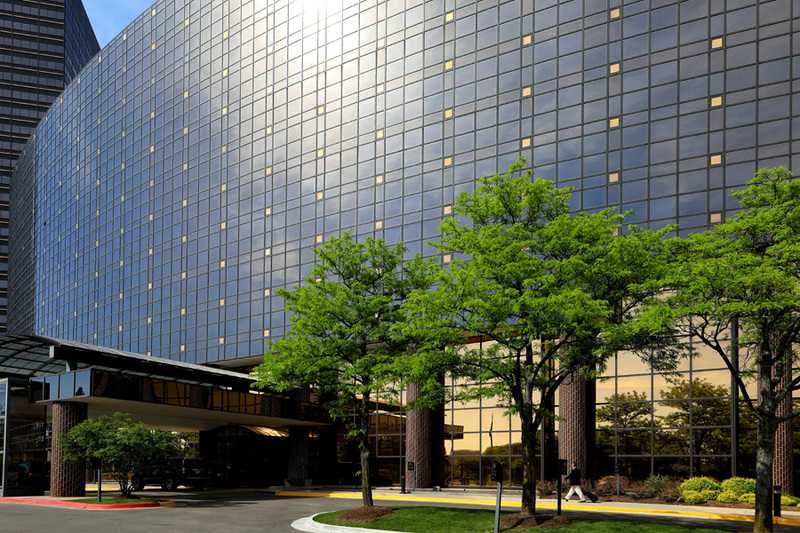 After checking into my hotel in Southfield, Michigan, I head into the city to check out the “newness” of The Motor City. 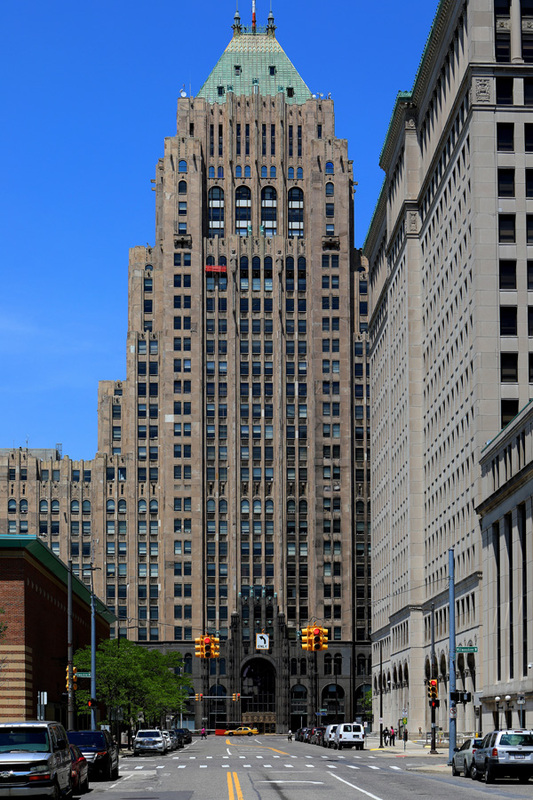 Witnessed throughout this trip, I noticed more buildings going up, new stores opening and more residential buildings downtown adding to the booming of downtown Detroit. If only they would do more for the “hoods”, but I guess that would be asking a bit too much. My first stop is Hitsville, U.S.A., former home of Motown Records, and thee place where all of our favorite Motown recordings were manufactured. 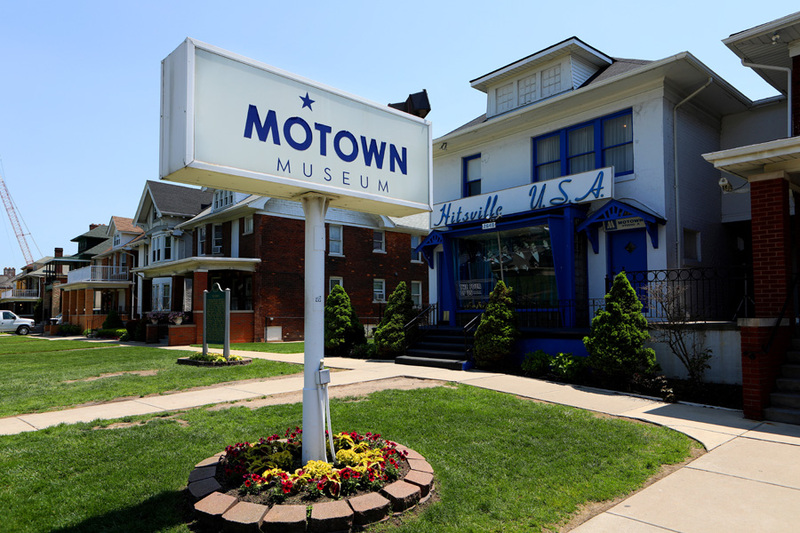 It is now the Motown Museum, where a tour will take you through the hallways and studios where The Jackson Five, The Supremes, Smokey Robinson & The Miracles, The Temptations, The Marvelettes and countless others walked through and recorded hit records. I’ve never taken the tour, because photography is not allowed inside, but I make it a point to stop here on every visit because it’s just that much of an important part of music history. As I drive away from Motown further on Grand Boulevard, I find a parking space and walk around the area. 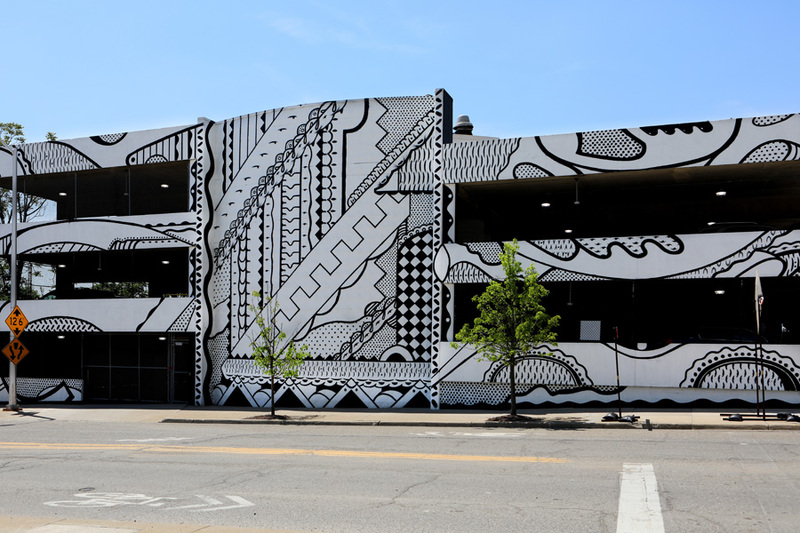 I spotted W.C. Bevan's “Automatic Transmission” mural on the side of a parking garage. I thought this mural was great, and I had fun shooting it. Down the street I photographed the landmark Fisher Building. 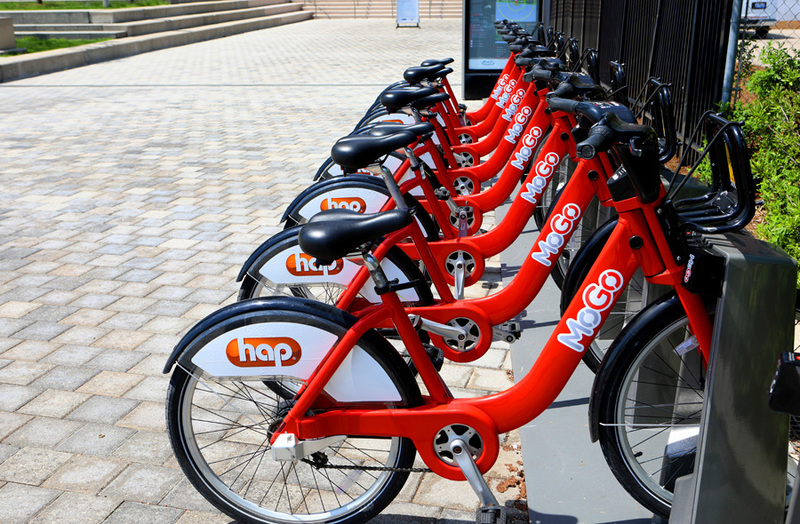 Next up…downtown! Once downtown and parked, I walked over to the Meridian Building to check out a new statue that was unveiled a week earlier. 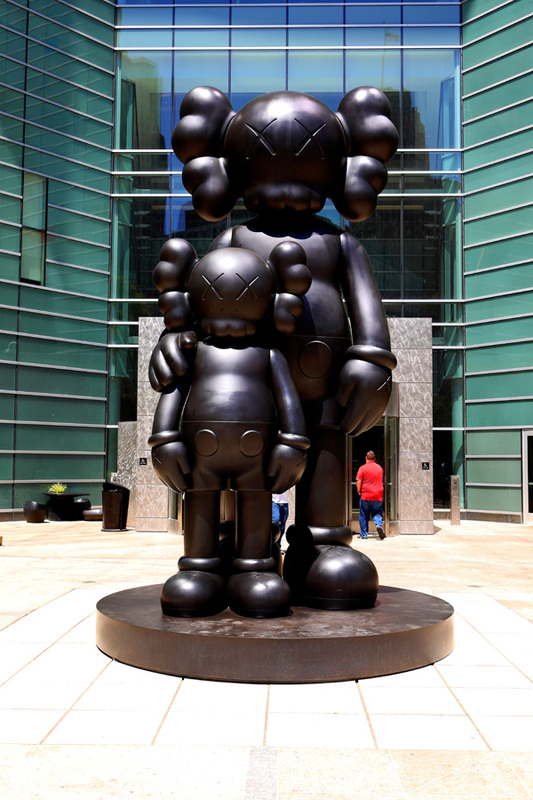 The 17-ft. statue is called “Waiting” by Brooklyn-based artist Brian Donnelly, also known as KAWS. There were many people around taking photos and marveling over the huge art piece. 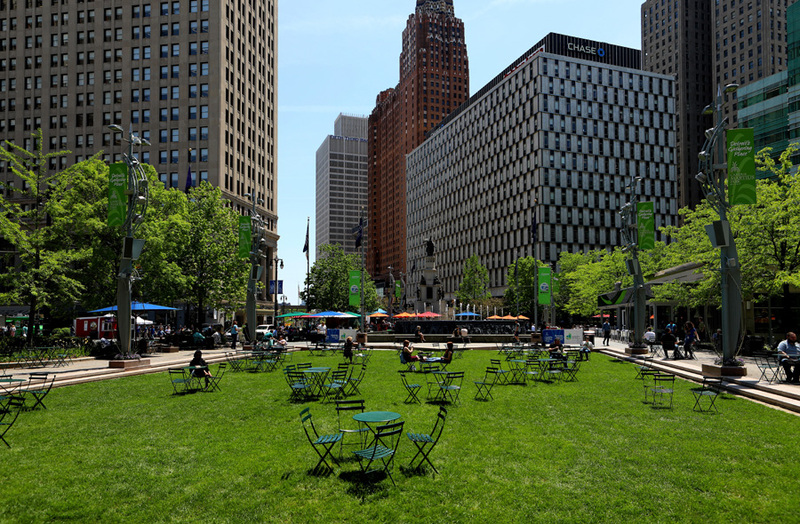 Next, I walk through Campus Martius Park on my way to the Guardian Building to photograph the renovated interior. 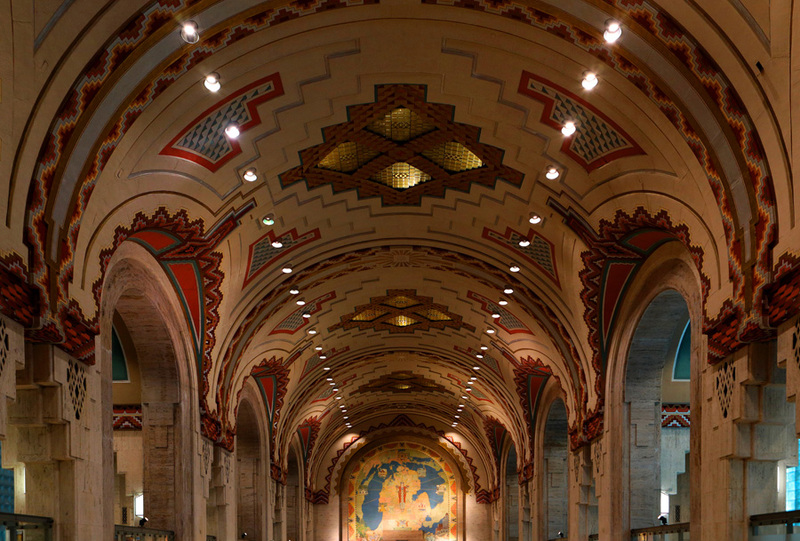 After leaving the Guardian Building, I head towards the Riverwalk. 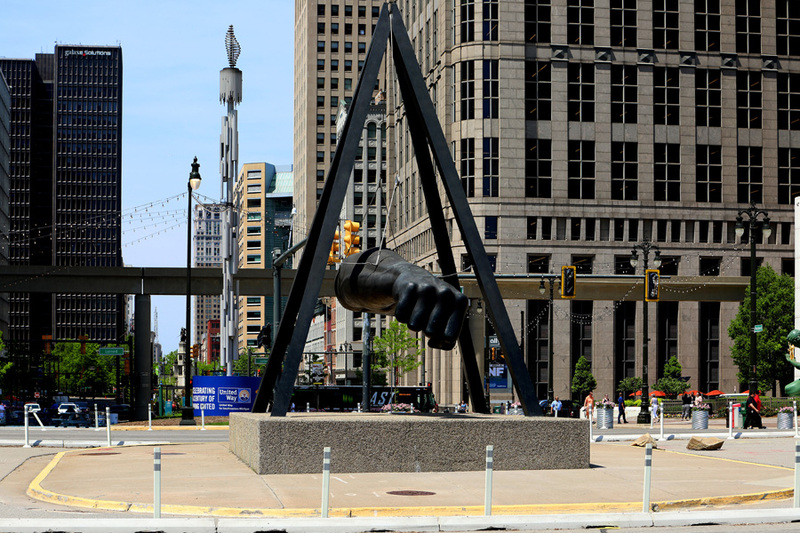 At the corner of Woodward and Jefferson, I stop to photograph a huge arm and fist, which is Robert Graham's “Monument to Joe Louis”…a very popular tourist attraction in Detroit. 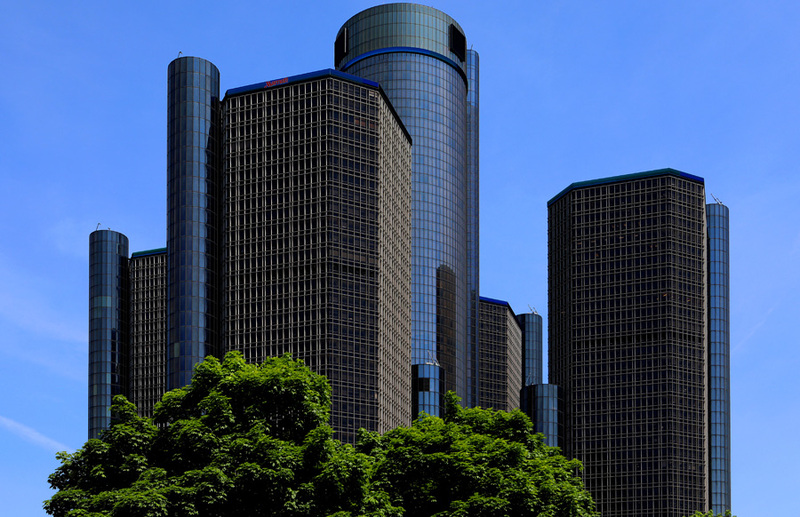 From a distance I photograph Renaissance Center, home to General Motors and the Marriott Hotel. 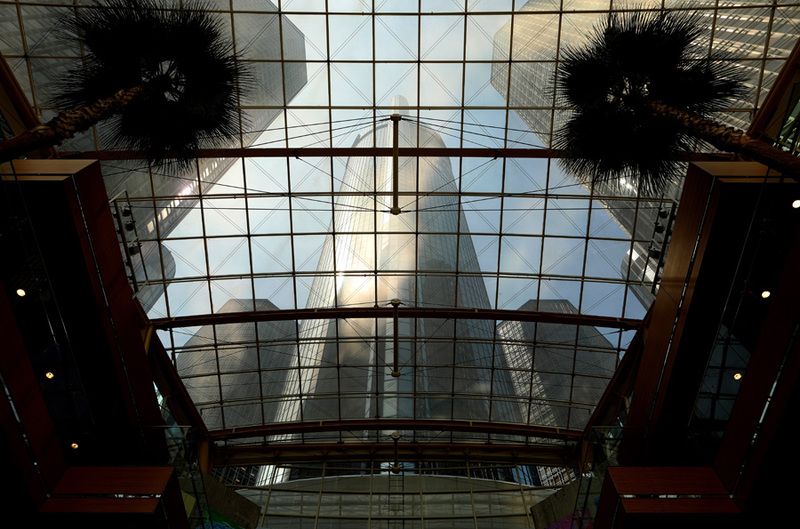 Once at RenCen, as it is called, I walk through the building and photograph the buildings through the atrium roof, which makes for a different perspective of the cluster of buildings. 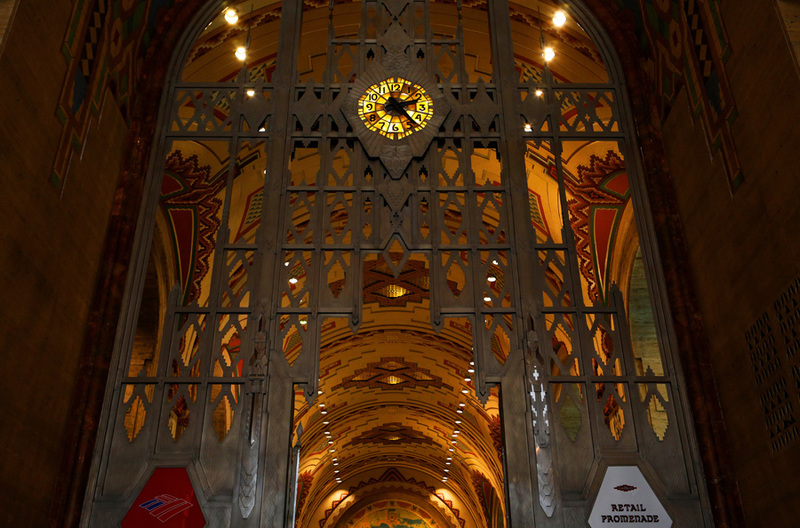 In the lobby is a huge model of downtown Detroit, which is highlighted by the very building I’m standing in. 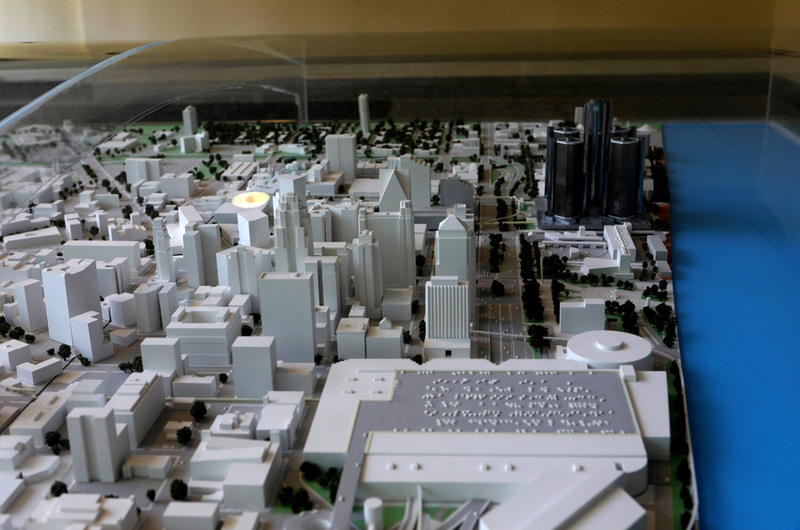 I thought this model is a great representation of Detroit. Making my way back towards the car, I take another walk further along the Riverwalk. I pass Port Detroit, which has a huge anchor out front. 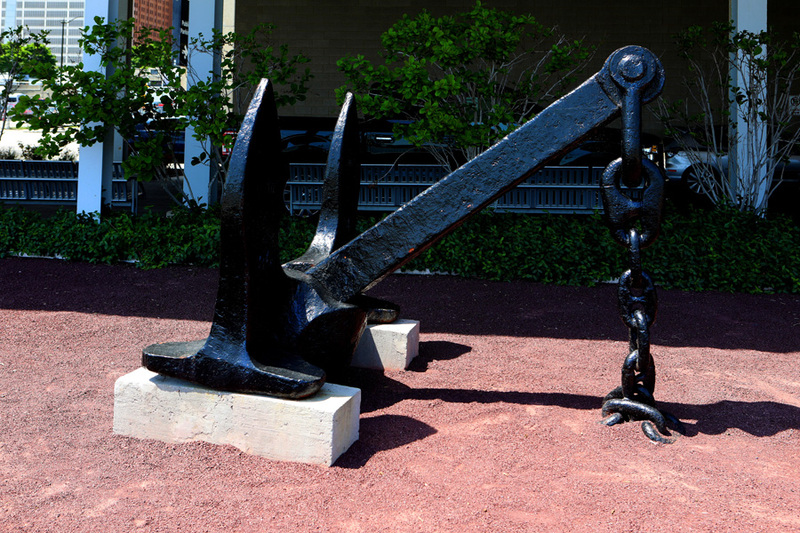 I later found out that in November of 2016, The Great Lakes Maritime Institute Dive Team recovered this anchor 200 feet in the Detroit River. 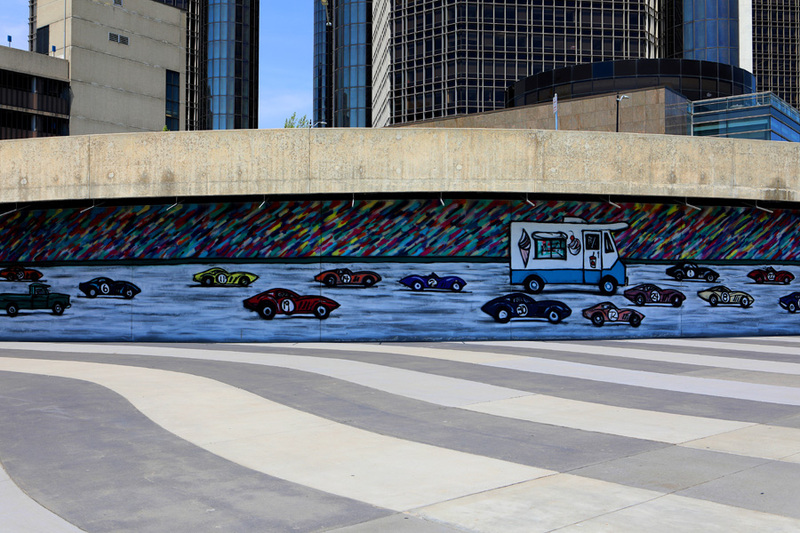 Also along the Riverwalk is an awesome mural by Mitchell Schurr called “Da Race Detroit”. 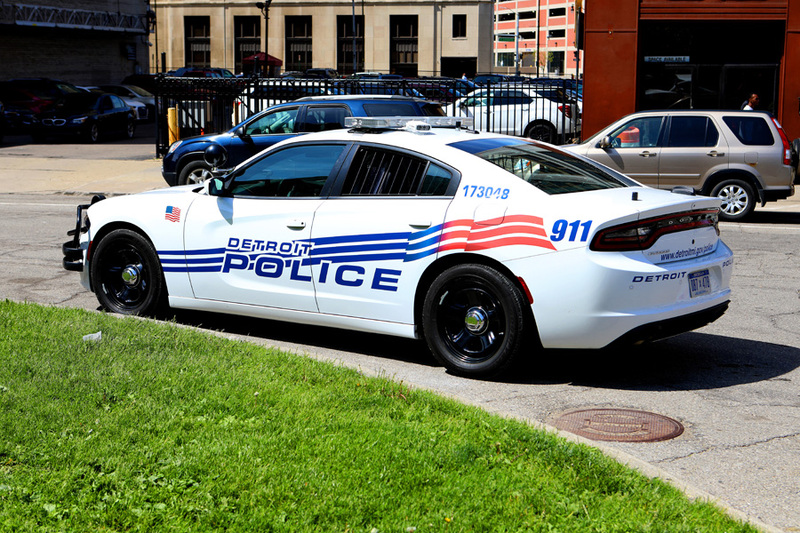 Nearing Campus Martius Park, I spot a new look Detroit Police car to photograph to add to my collection of police cars. 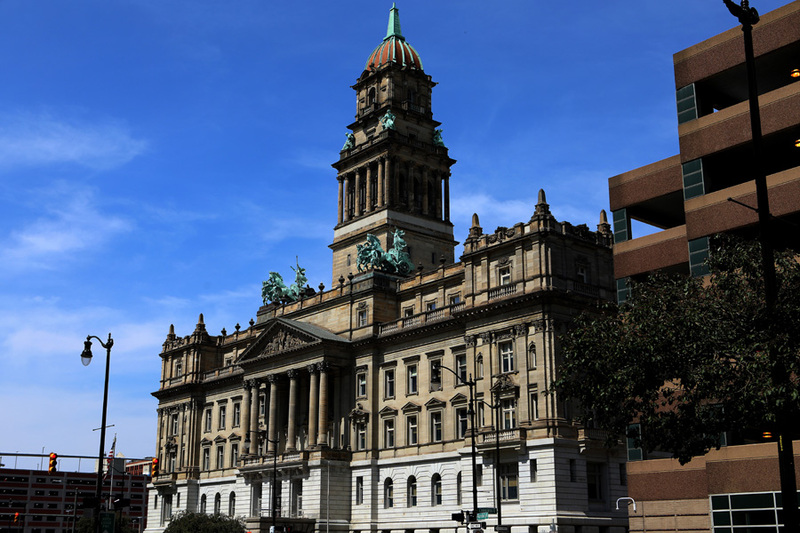 Across the street, I photograph the h-u-g-e Wayne County Building. 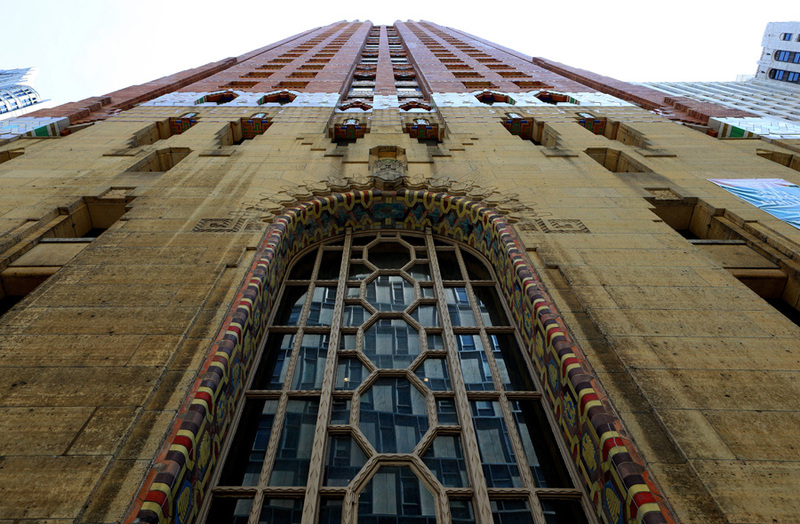 This is one of my favorite buildings in Detroit to photograph. 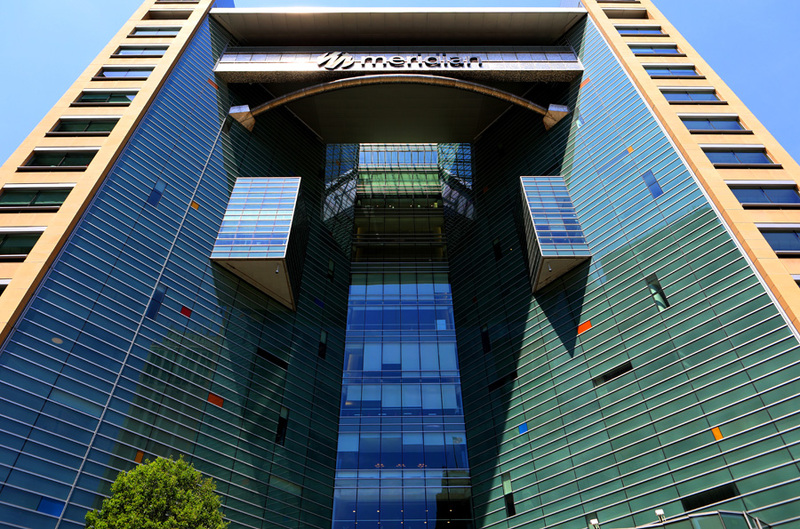 After that, I head back to the Meridian Building to check out two huge murals behind the building. 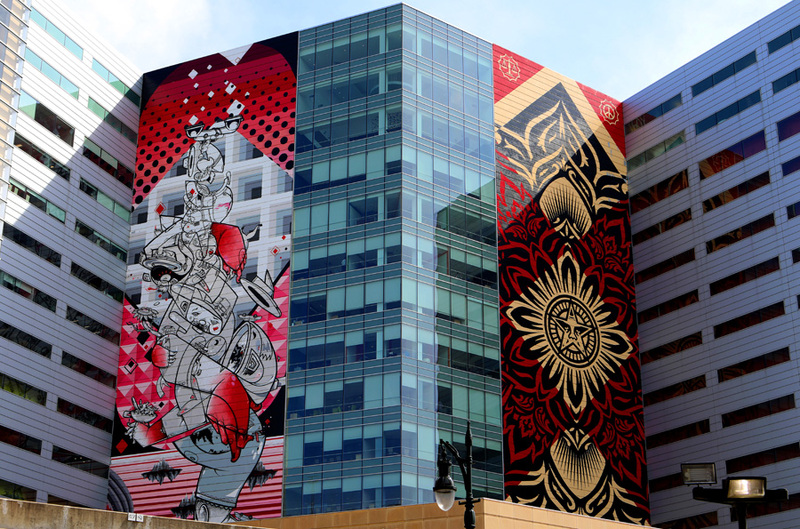 Those murals are the works of HOW and NOSM, who did “Balancing Act” on the left side and Shepard Fairey's “Peace and Justice Lotus” is on the right. This is truly great work indeed! 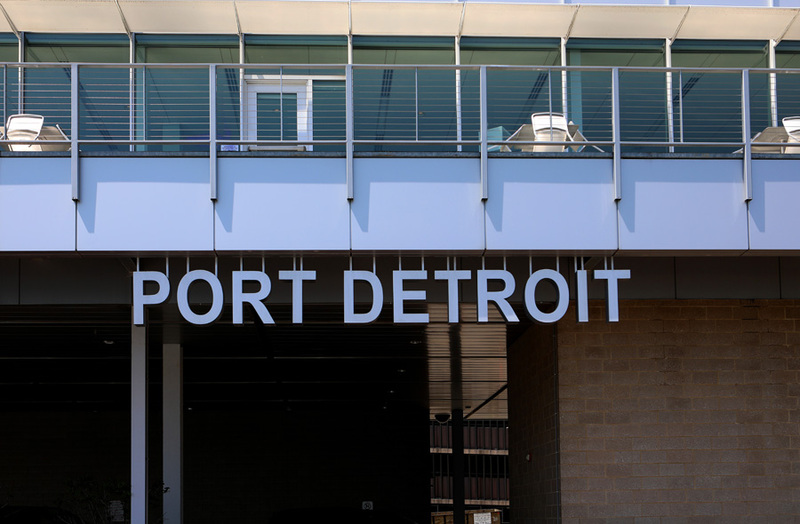 Well, day one in Detroit has wound down, and it’s time to head back to the hotel to start editing and get ready for day two.